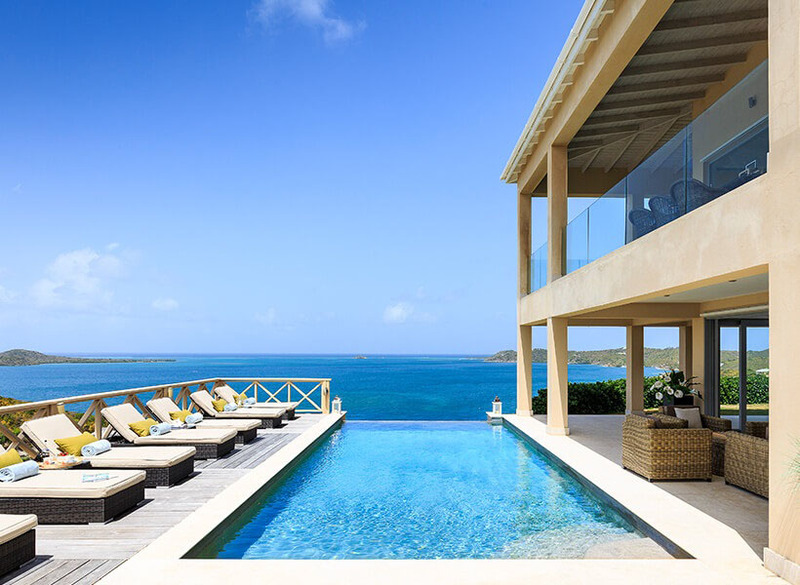 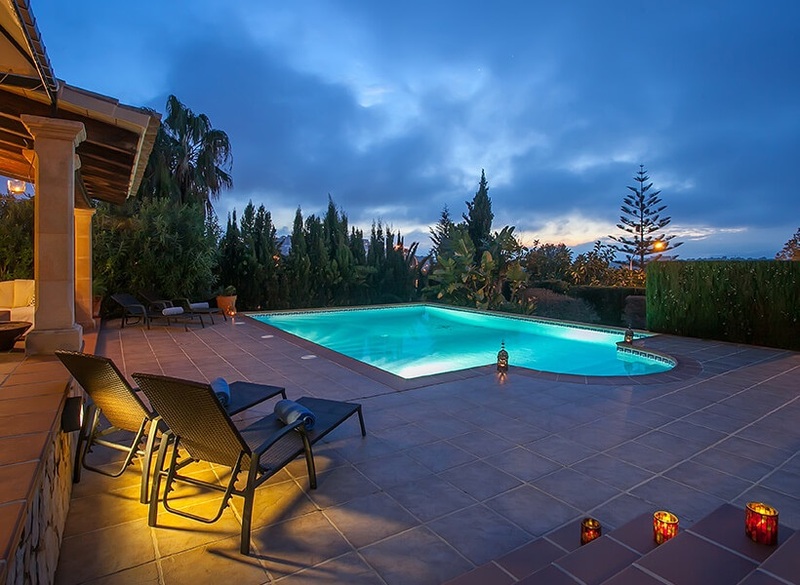 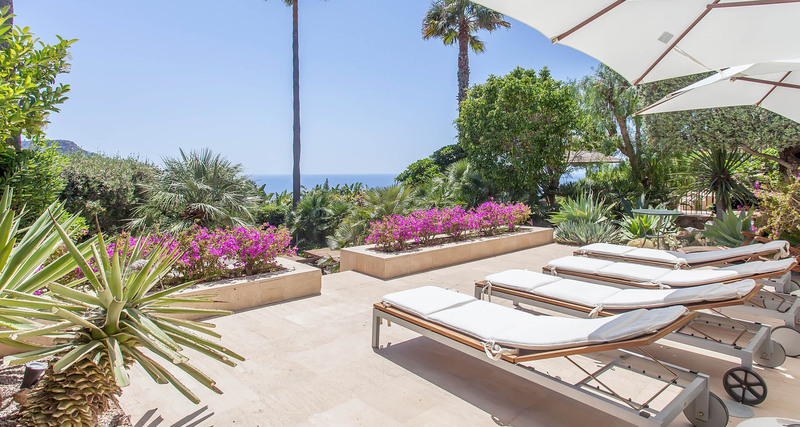 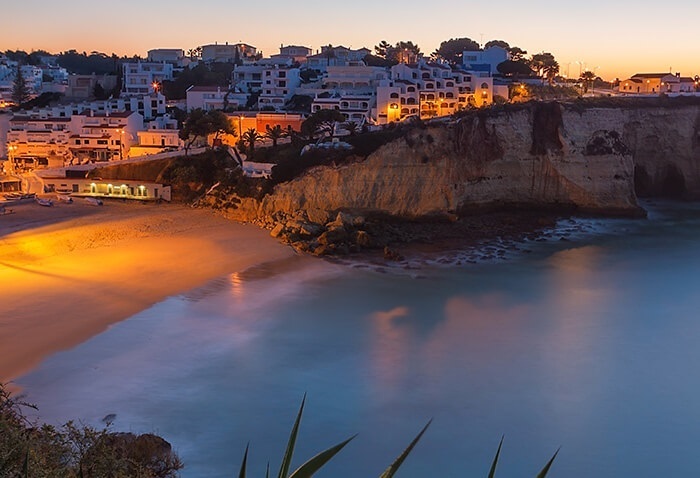 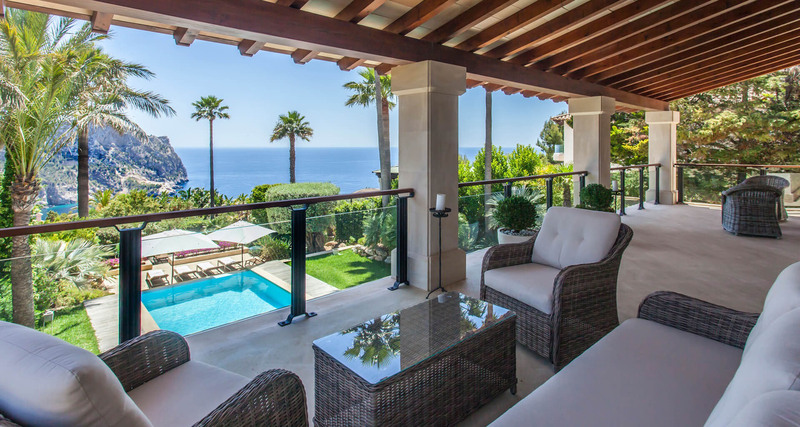 This magnificent luxury villa with brilliant sea views and is located on the exclusive & secure residential complex of Las Brisas and offers spacious, first-class accommodation for up to 10 people. 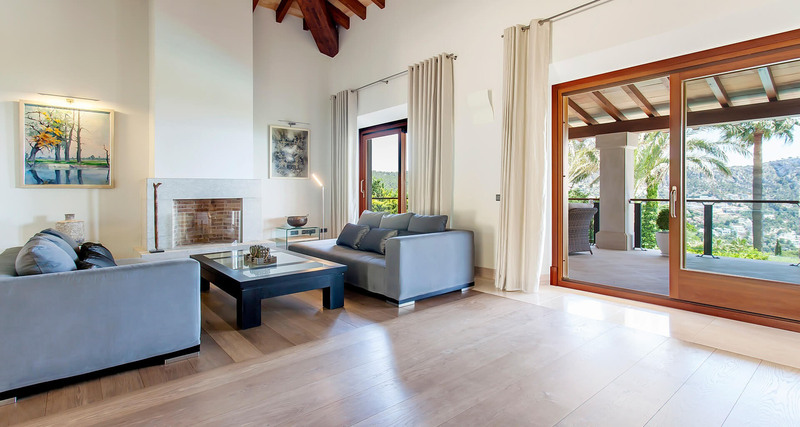 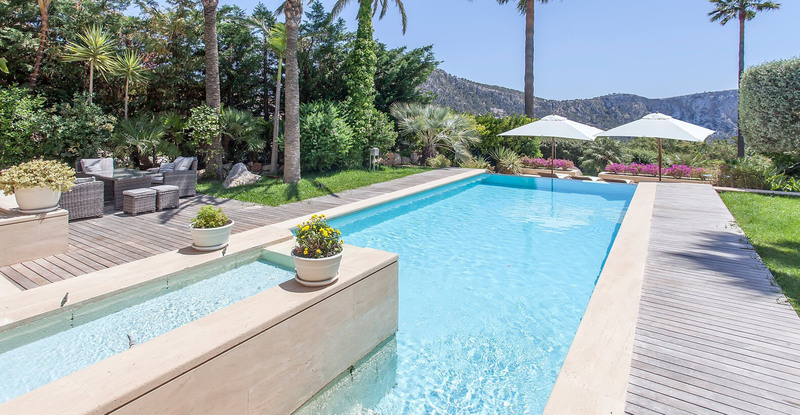 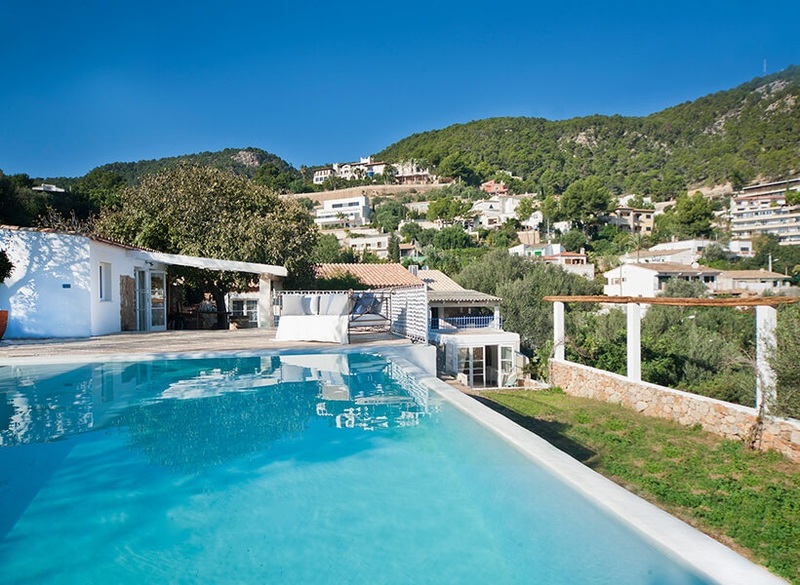 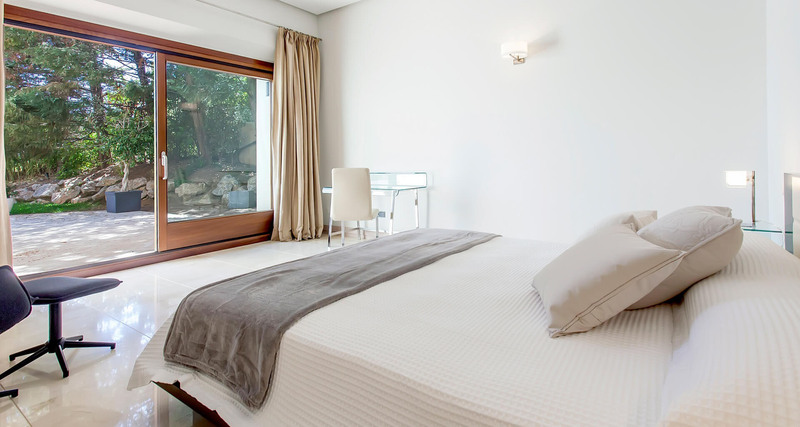 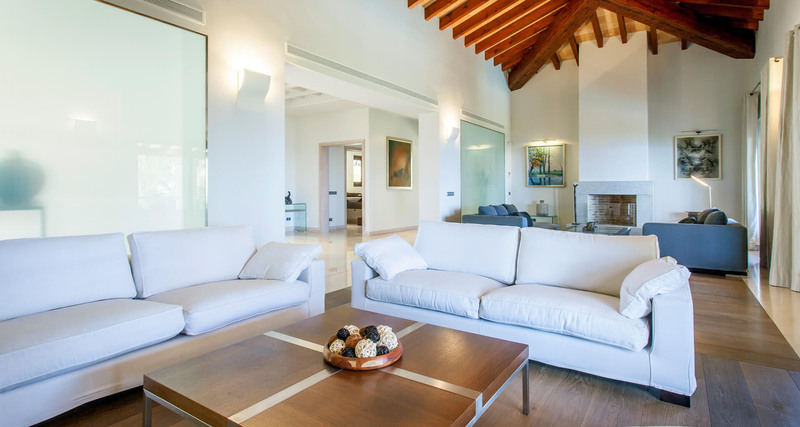 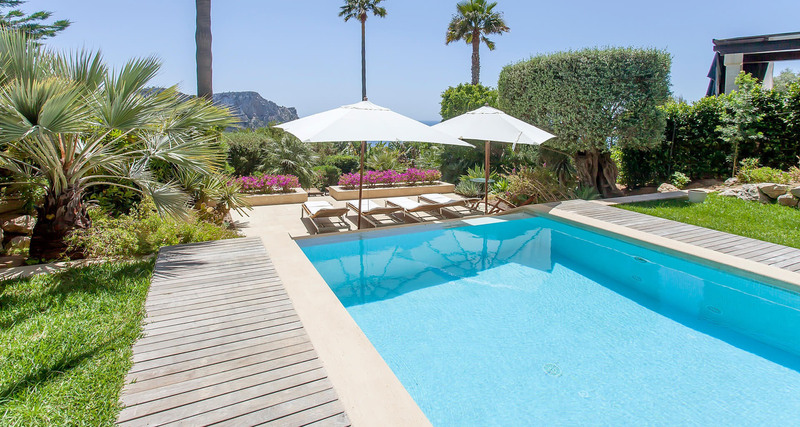 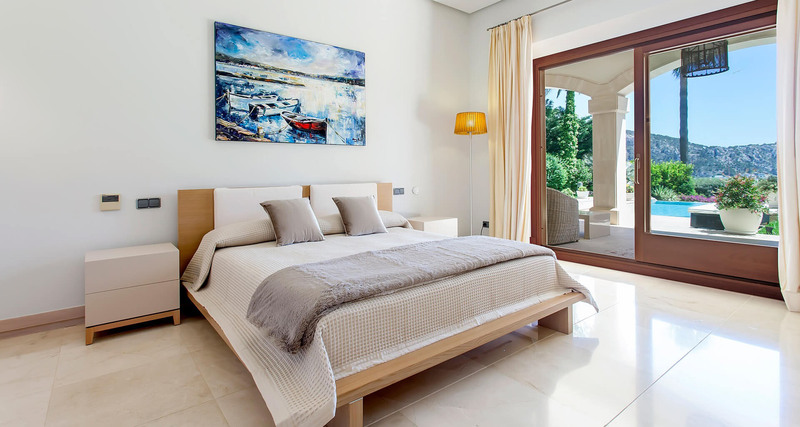 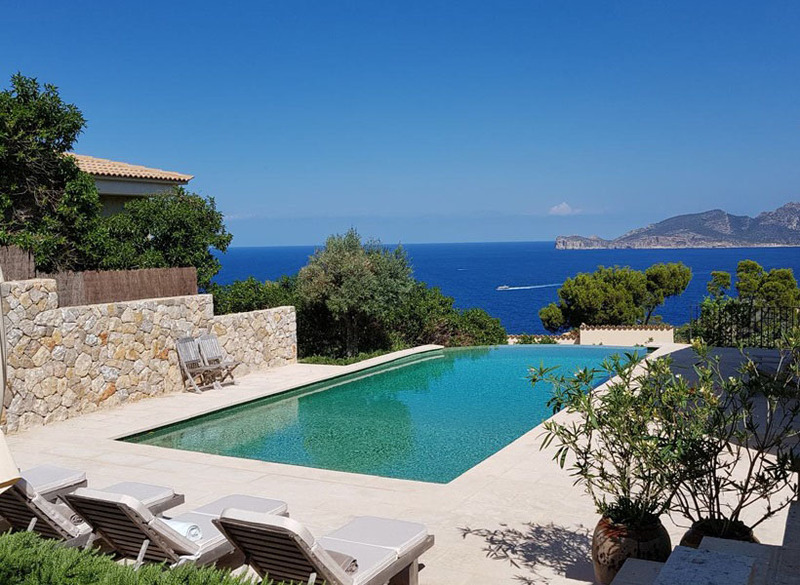 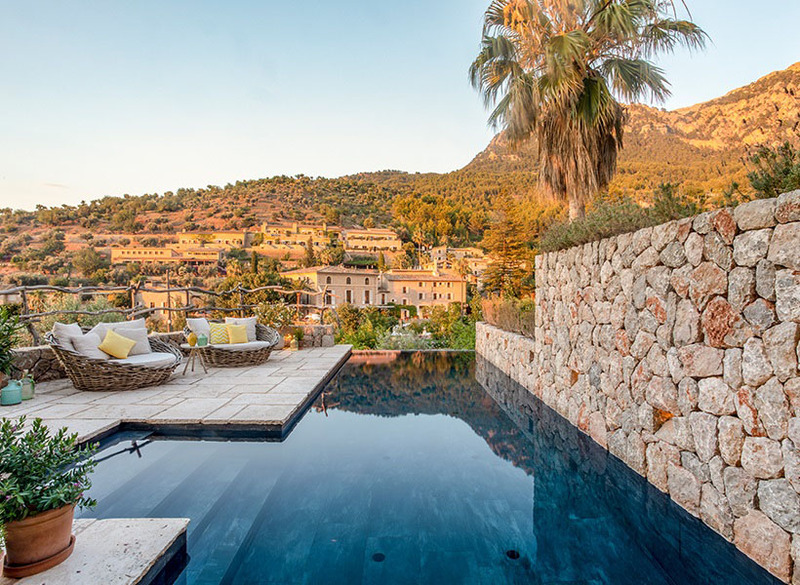 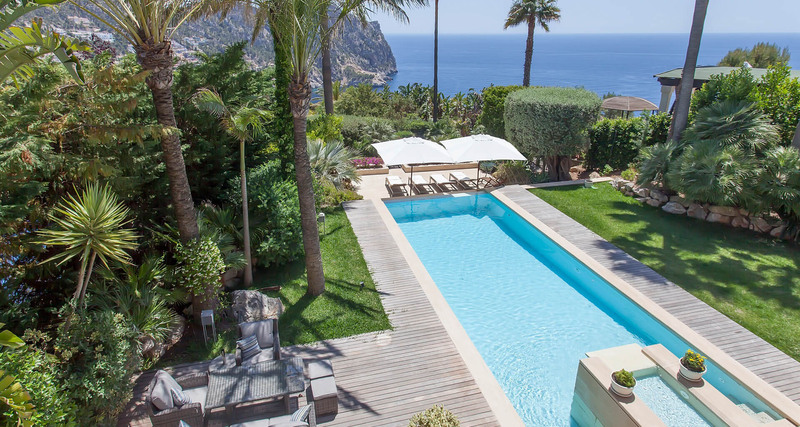 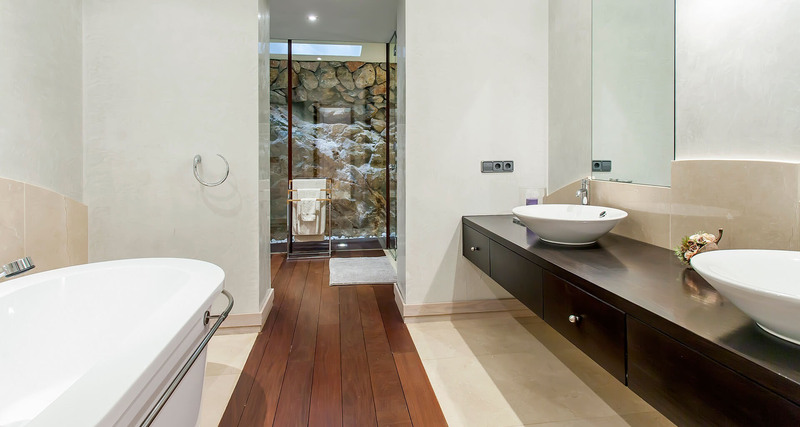 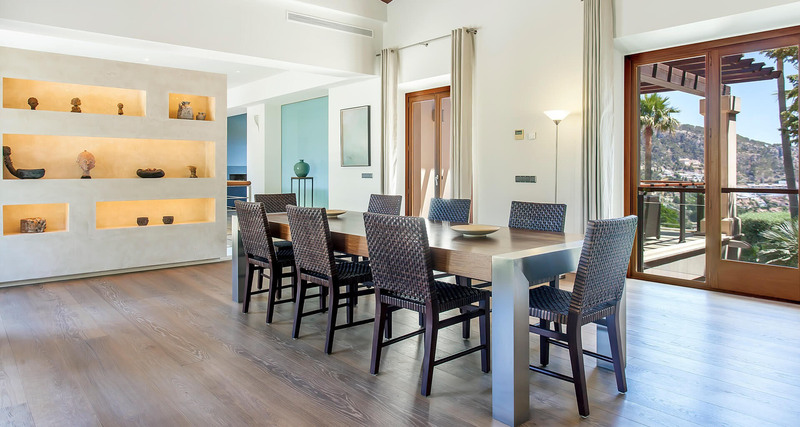 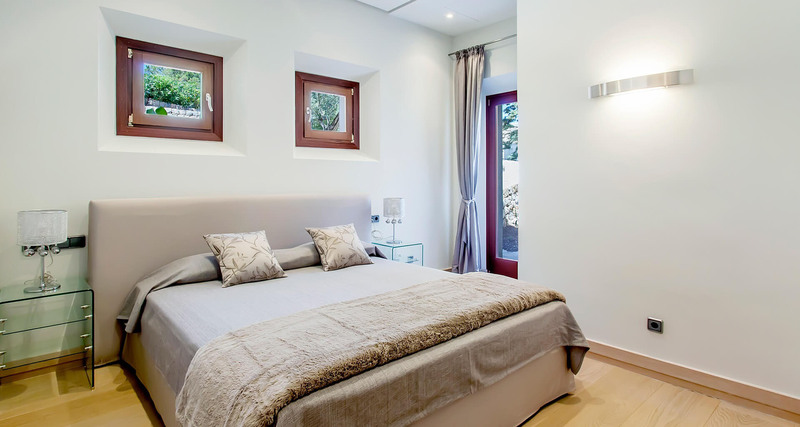 The villa has been finished to an exceptionally high standard and also benefits from a south-facing situation, allowing you to make the most of the warm Mallorcan sunshine. 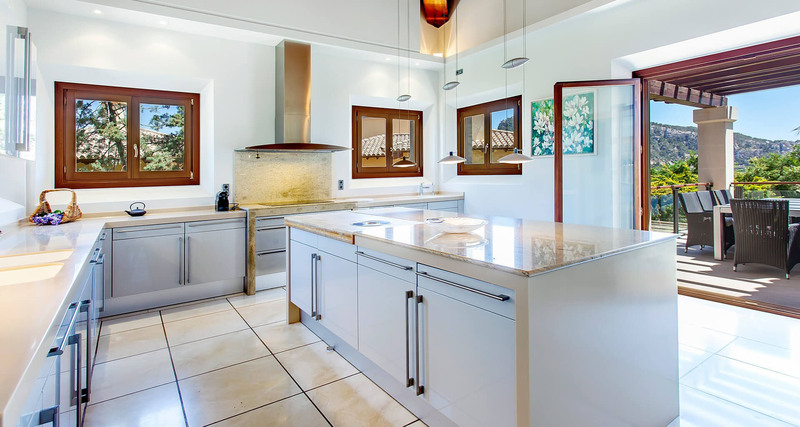 Entrance level: Large and beautifully decorated double living room with feature fireplaces and ample comfortable seating – Fully-equipped modern kitchen with all mod-cons and breakfast bar – Dining area with doors leading out to the gardens and pool – Large balcony area with relaxing seating area and outstanding views. 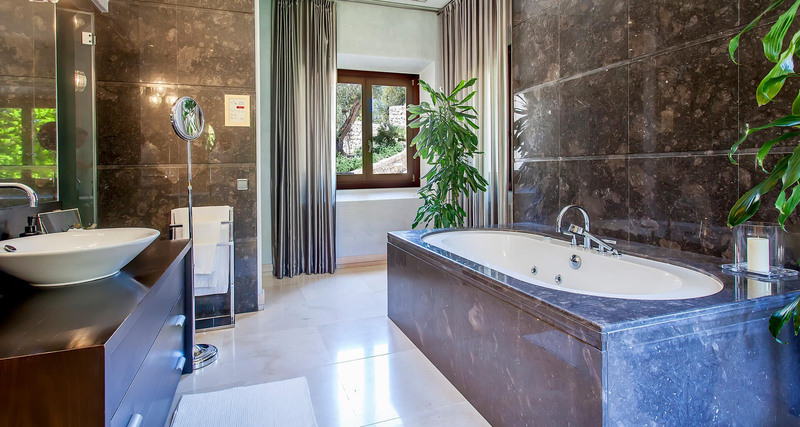 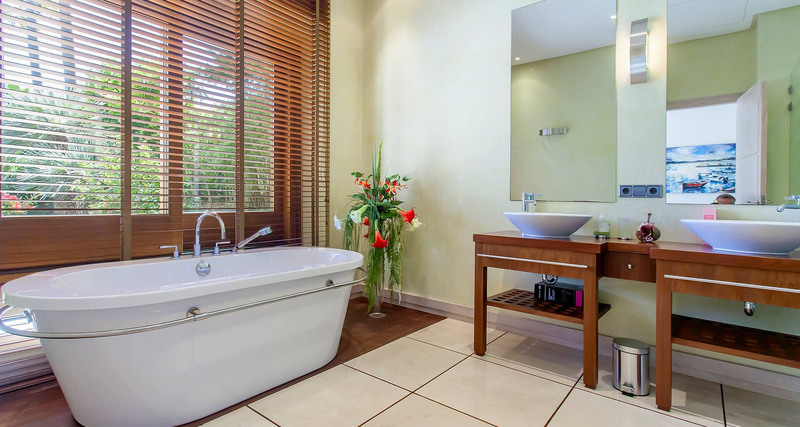 Lower level: Large master suite with Jacuzzi bath, walk in wardrobe and seating area, with access to the pool terrace – 4 further large en-suite bedrooms, excellently decorated and with doors leading to the impressive outdoor terrace area. 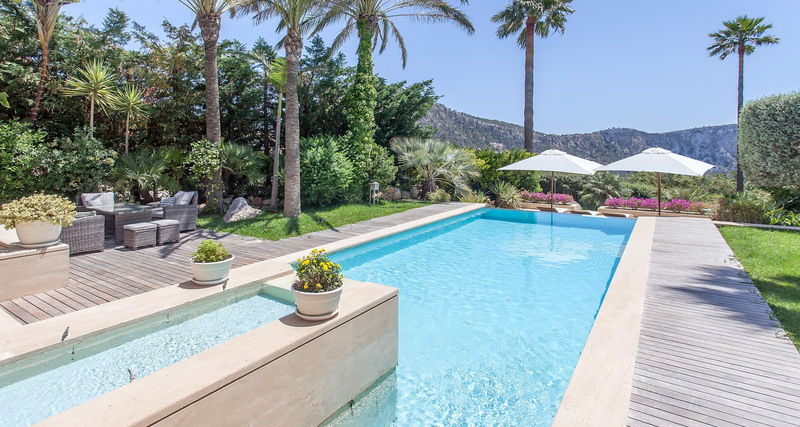 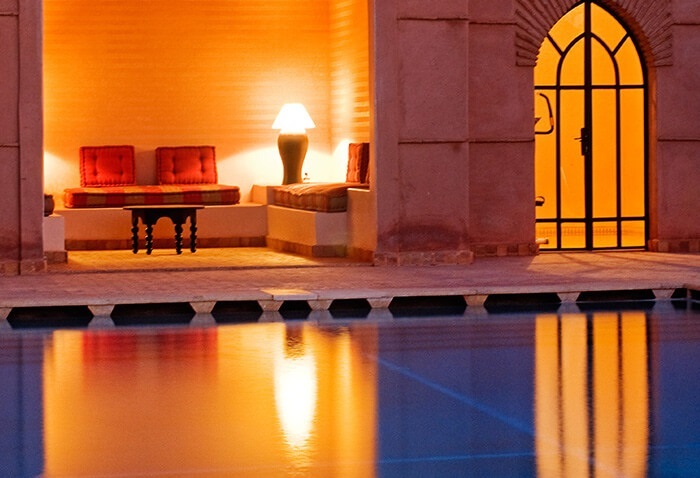 Outdoors: Gorgeous private garden – Comfortable sun loungers – Impressive swimming pool with water feature – Large al-fresco dining area – Ample parking space. 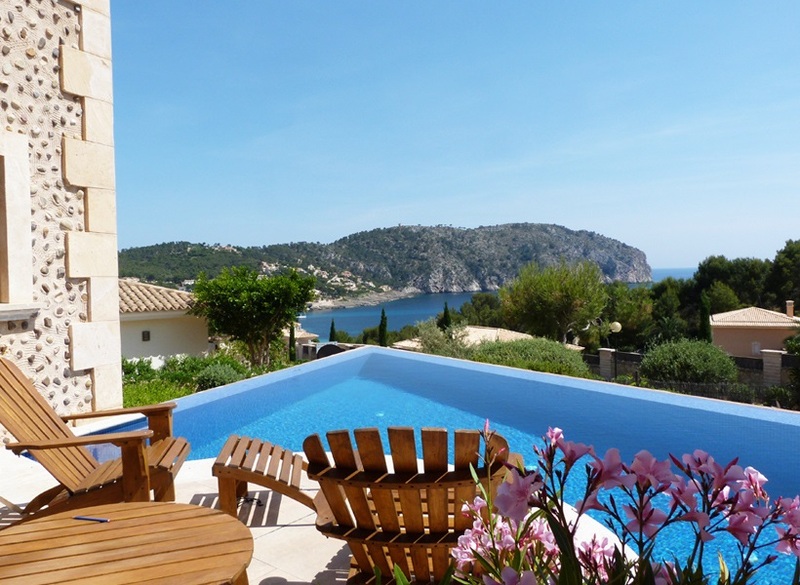 Situated in Port Andratx, this is an upmarket resort with quality restaurants and bars. 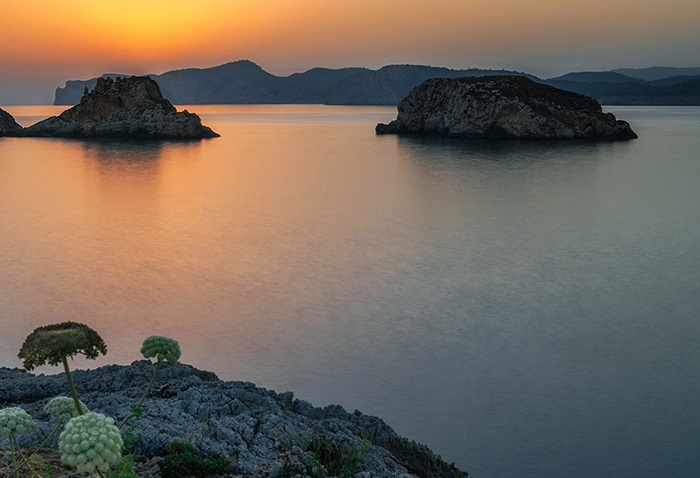 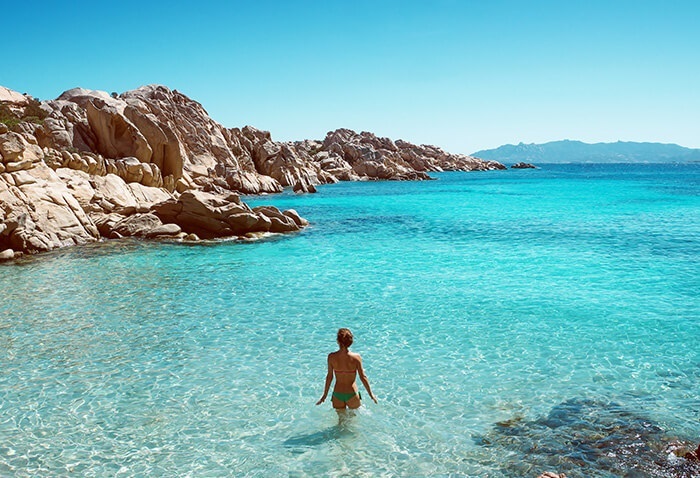 Visiting the fantastic marina with it's luxury yachts is a great way to spend the day relaxing and looking around the area's boutique stores.